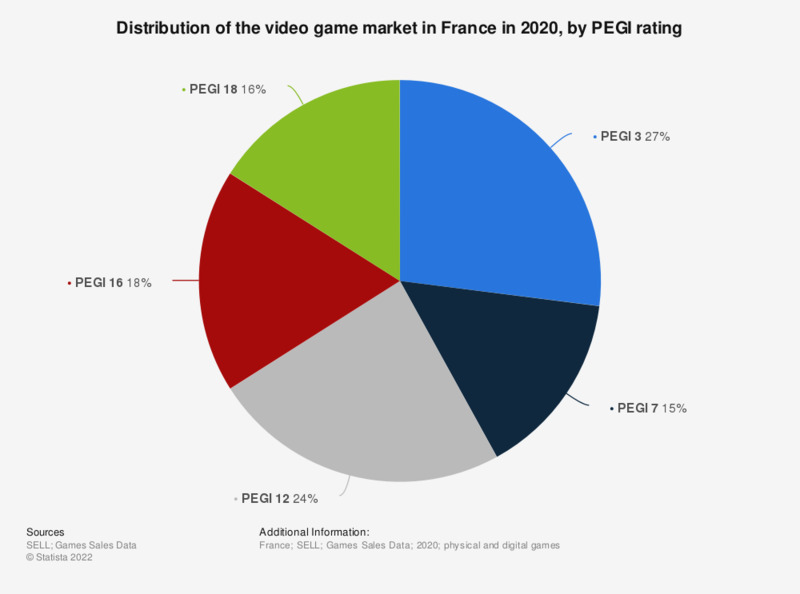 This statistic represents the PEGI rating distribution of the video game market in France from 2012 to 2017. It shows that the share of video games not suitable for individuals aged under 18 was at 13 percent in 2017, down from 30 percent a year earlier. * Pan European Game Information, an age rating system that was developed to help parents be informed about the content of computer and video games.